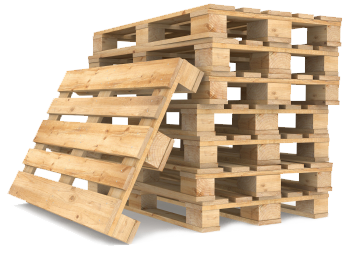 Used wooden pallets have a variety of uses when they reach the end of their lives in the warehouse. Used pallets are particularly popular among DIYers, who have started taking it upon themselves to creatively upcycle the material and turn them into useful and attractive everyday objects. One animal rescue centre in Bagworth, UK, has taken the transformation of second hand wooden pallets to yet another level by building a playground for its residents. Whatever will the next timber structure become? The Pony Rescue animal rescue shelter, which rehabilitates goats among other four-legged friends, recently received a generous donation from a Pall-Ex firm based in Hinckley and has put these funds to good use by rehabilitating 200 other dear old friends – used wooden pallets! The large number of pallets came from distribution firm Armstrong Logistics and has enabled the shelter to produce a playground for its resident goats to prevent them getting bored or stressed. The number of goats taken in by Pony Rescue would otherwise have been limited if it weren’t for the donation, due to the cost of vets bills, food and other running costs, but the shelter is now thriving thanks to having the simple yet beneficial structures in place. Mr Thompson, the director of the animal rescue shelter, confirms that he wishes to expand their facilities even further now in an attempt to save and help even more vulnerable creatures. Not only will the plans benefit the animal world, but Thompson hopes that it will raise awareness in Bagworth and bring value to the community as a whole. Pony Rescue holds a number of events aimed at educating children in the local area about farm maintenance, such as looking after animals and growing fresh fruit and vegetables. Pony Rescue has the chairman of Armstrong Logistics, Justin Armstrong, to thank for the huge donation of second hand wooden pallets. He was impressed by the positive work carried out by the shelter and the effect that it has on the community and environment. Armstrong himself will no doubt be thrilled with the positive outcome that his company has helped to achieve, and it is hoped that other firms will follow suit and consider offering their used pallets to charities in their own communities. It isn’t just beds and playhouses for goats that wooden pallets can be used for. The DIY world has recently seen an enormous number of astonishing transformations coming to light on sites such as Pinterest and Tumblr, ranging from dog beds and rabbit hutches to chicken coops and bird feeders. With so many animal shelters, veterinary practices and kennels/catteries across the country, used wooden pallets could be given a new lease of life by providing places to sleep, eat or play for our pets, as well as poorly or abandoned animals. One particularly good use for timber pallets is in the creation of beehives, which are being built and maintained across a number of domestic households as well as schools. As many of you will already know, bees play a very important role in the food chain, and their extinction would there pose a great threat to the human population. Not only can building a bee population help the species to survive, but you can also benefit from the raw honey that they produce as well as reap the rewards of a thriving garden. The British Beekeepers’ Association states that ‘studying bees adds significantly to the wider education of pupils’. It teaches them about bees’ vital role when it comes to our food chain as well as the medical uses for their harvest and much, much more.